This post is by our craft contributor EJ. Looking for a simple activity to entertain the kids during Thanksgiving? All you'll need is a bag of M&M's, crayons or colored pencils, and a Turkey Template (one sheet contains 4 turkeys). 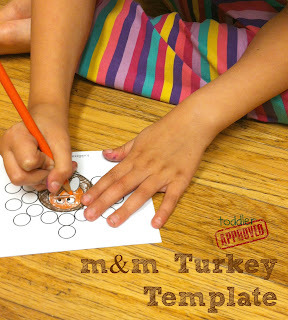 Color in the body of the turkey with crayons or colored pencils. 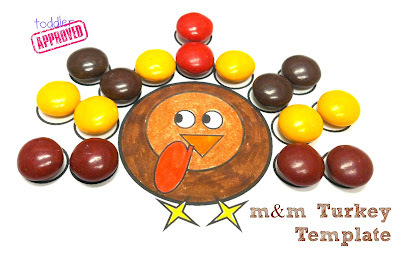 Next, "color in" the feathers using M&Ms (each turkey contains spaces for 16 M&Ms). After admiring the finished product, devour (the best part of the activity, according to my 3 year old son). 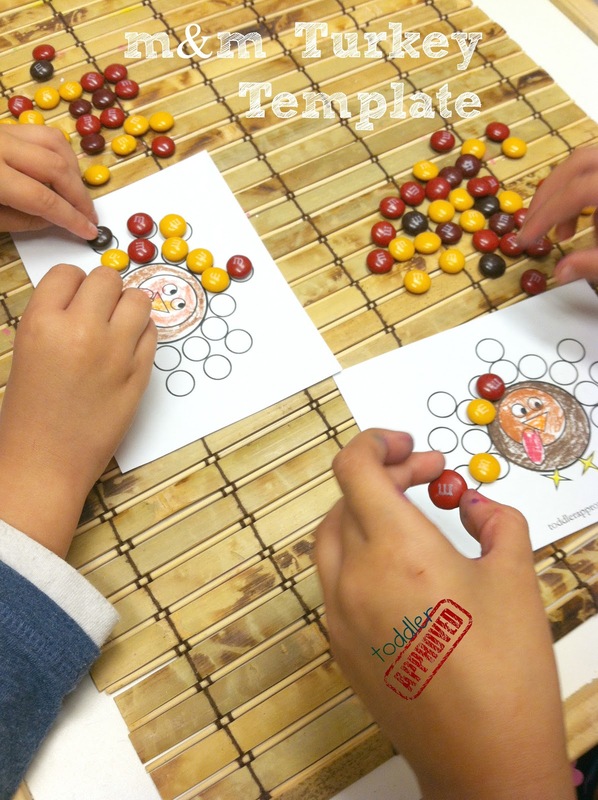 You could also work on patterning or turn this into a math activity by adding a die and assigning each color M&M to a different number (1-6). 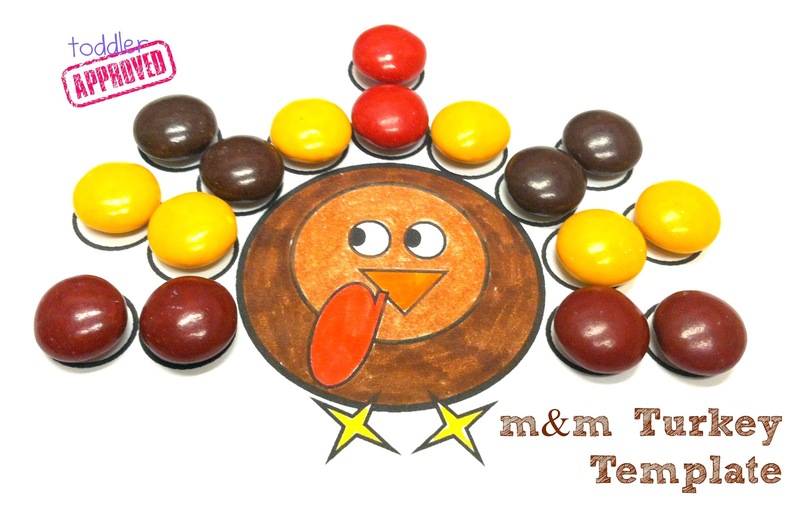 Every time you roll that number you have to put the corresponding colored M&M on the turkey! PS- Have you entered our Scratch Art Light Box Melissa and Doug giveaway yet? Hurry before it ends! how can I print these without having to pay? This is a really cute idea! But I am having trouble getting th template… Scribbed wants me to pay for it. Is there another option?